GameEx Evolution, what is it? When is it coming out? What is it going to look like? These are questions that have been posted on various forums all year. There have been rumors floating around but not much else. It all started when earlier this year this teaser graphic that sprung up with a timer. Besides being a supposed massive retooling of the GameEx front-end, little has been made public about what to expect. That all changed when last week when the team over at GameEx released a teaser video, giving us our first look at whats in store for us classic gaming junkies. The first thing that stands out is things look much crisper. Text and graphics seem to pop off of the screen. New views have been added, cover flow stands out as one I am excited to try, though its shown with screenshots and I want to get some box art in there. Touch screen support looks as if it will be great as well. There are some hints at 3D modeling functionality and advanced scripting. One thing that is going to probably jump out at the end is the apparent support for themes and skins from other front-ends. Hyperspin and possibly Maximus Arcade (RIP). 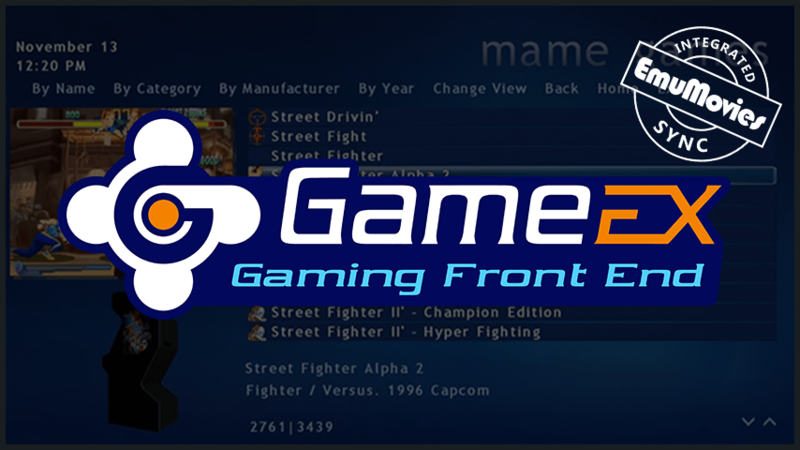 GameEx has always been one of the most feature rich front-ends available and enjoys a nice permanent home on my media center PC in the living room. This "Evolution" may be just that and hopefully I will be able to get my hands on a BETA build at some point and report further. In the meantime take two minutes to watch this official teaser.